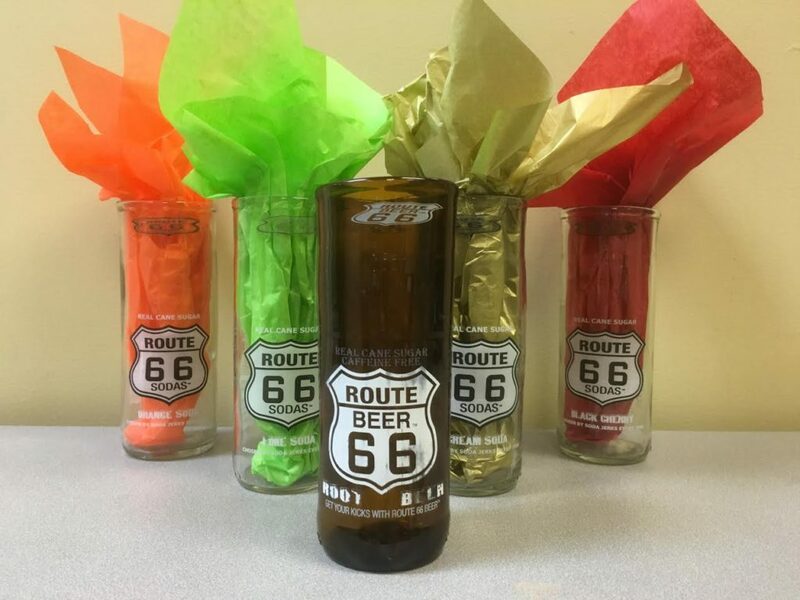 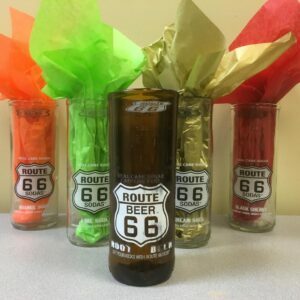 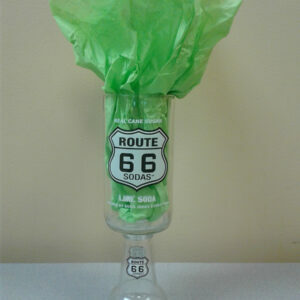 We have partnered with local artist Hiram Toraason of Toraason Glass to present our Route 66 Sodas Drinking Glasses! 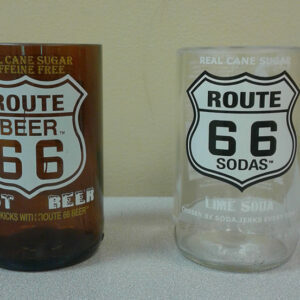 Hiram has taken our etched bottles and transformed them into collectible glasses. 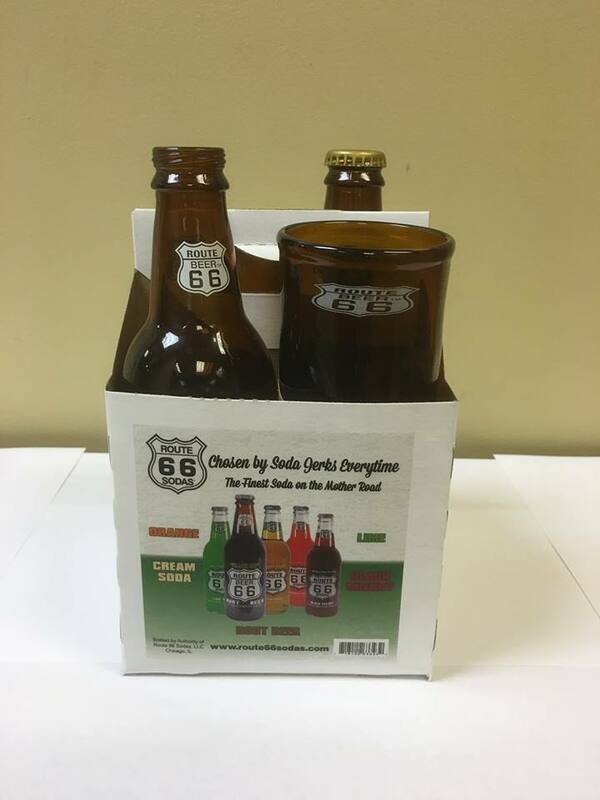 2 drinking glasses and 2 bottles of Soda (your choice of flavor) in an autographed 4-pack carrier.